The last few weeks – few months – have been a whirlwind of activity for the Civic Fellows. The two weeks from March 12 to March 26 were especially dense, full of rehearsals, workshops, and performances. But despite our hectic schedules, these two weeks were also especially meaningful. The Civic Fellows continued our citywide tour with CSO-Connect presentations on Chicago’s south, west, and north sides. We performed at Pickard Elementary in Pilsen and at Catalyst Circle Rock Charter School in Austin (on the same day! ), Swift Elementary in Edgewater, and finally at Edwards Elementary in Archer Heights. The fellows also began legwork for the side-by-side and full orchestra concert at Senn High School in late April. Our March 14 CSO-Connect presentation at Swift Elementary was attended by none other than the CSO’s Judson and Joyce Green Creative Consultant Yo-Yo Ma, who then joined us in our first visit to the Senn orchestra and band programs. The kids were so excited to meet Yo-Yo and play alongside him. On March 15 the full Civic Orchestra had the chance to work on Haydn’s D Major Cello Concerto with Yo-Yo Ma under the baton of CSO Solti Conducting Apprentice Erina Yashima. The workshop began with a disclaimer from Yo-Yo – he was playing on a borrowed cello and warned us that he was going to sound horrible. Of course, he sounded far from horrible and had us laughing and, by the end of the workshop, stationed all over Curtiss Hall – one of the most beautiful rehearsal spaces ever, located on the top floor of the Fine Arts Building. Our work with Yo-Yo and Maestra Yashima definitely came in handy when it came to preparing Mozart’s Symphony No. 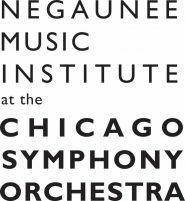 36 for the Civic Orchestra’s open rehearsal with CSO Zell Music Director Riccardo Muti on March 18. Maestro Muti was able to really unpack the symphony with us, and I for one had a great time doing so! He was also, as usual, a total ham and had both the musicians on stage and the audience cracking up. As mentioned in Christy Kim’s most recent Fellow Reflection, a handful of fellows – Christy, Alice Park, Denielle Wilson, Roslyn Green, and myself – had the honour of participating in a project with the South Side support group Purpose Over Pain at the iconic St. Sabina Church, on 78th Place and Racine. Purpose Over Pain provides support and guidance to parents who have lost children to gun violence – our project’s goal was to create a concert of original songs celebrating these children. Working with Sara and Rex of the Irene Taylor Trust, Josh Fink, and staff members of the CSOA’s Negaunee Music Institute, our role in the project was to help, as best we could, in the construction of the songs, to workshop them, and then, on Sunday, March 16, to perform them for the public. Participating in this project was life-changing for me. Meeting the parents of Purpose Over Pain on our first day, I was amazed by the strength these women showed on a minute-to-minute basis. The loss of a child is so profound – how can one be expected to carry on? But they do, and these women are not taking life sitting down either. After hearing the individual stories and learning about the children lost, I was in awe of this group’s passion for justice, for change. Too long have their voices gone unheard; I grew up in this city, and I’ve never come close to experiencing life as it is for these women, parents, and communities. This project opened my eyes – and I can only hope that the beautiful songs and music that came out of the project did as much for others as it did for me. More than anything, I hope that the parents of Purpose Over Pain found some solace in our music-making – and that change is on the horizon. On March 24 the Civic 4TET (as we are calling our fellows string quartet) performed at the National Museum of Mexican Art. This was the second performance of our “Music of the Americas” program, with works by David Balakrishnan, Dvorak, Villa-Lobos, and Jesse Montgomery. Denielle, Roslyn, Maria Arrua, and myself performed for a full house, and hosted a short Q&A after the concert. The following day saw the full Civic Orchestra performing under the baton of Maestro Tito Muñoz at the South Shore Cultural Center for – again – a full house. The all American program was a personal favourite, and the audience was so enthusiastic, I think it’s safe to say they liked it, too! After the concert, the Civic Fellows and some orchestra musicians chatted with members of the African American Network of the CSO, a group committed to engaging Chicago’s culturally rich African American community through the sharing and exchanging of music while building relationships for generations. I was happy to have the chance to chat with three wonderful ladies who are part of the Network – on the off chance you’re reading this, can’t wait to see you at our next Civic concert!